This photo was taken in May along the Mt. Rose Scenic Drive on the western side of Mt. Rose Summit, at the higher elevations of the drive. 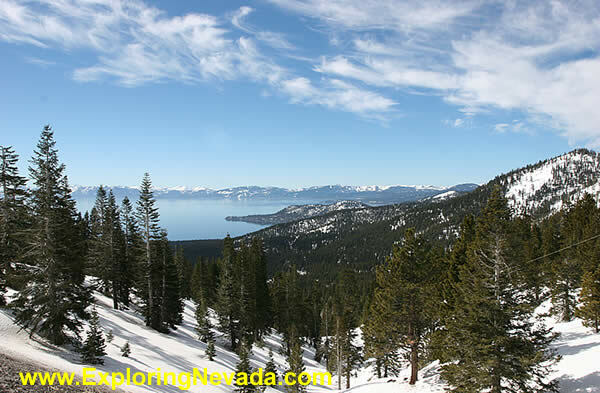 Lake Tahoe is visible, as are some of the higher peaks of the Sierra's in the distance.